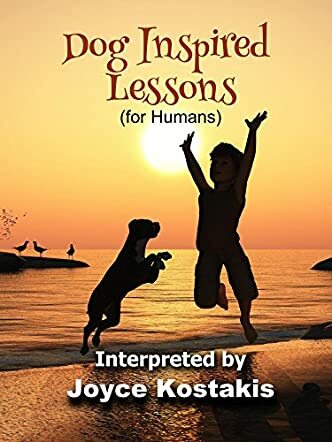 Dog Inspired Lessons: For Humans by Joyce Kostakis is the perfect insight into the fantastic traits of dogs, and how you can replicate them. Any dog lover will appreciate the joy they bring to your life, and how they can always lift your spirits. This book will give you an amazing insight into how you can improve your life and health just by following your dog's example. Learn how to be more forgiving, how to appreciate the small things in life, how you can become an expert communicator. In today's society, it is easy to lose sight of what is truly important in the world. The author reveals how her beloved Cooper and Max taught her major life lessons that she could mirror and so improve her life. As a dog lover, I found Dog Inspired Lessons: For Humans by Joyce Kostakis heartwarming and very thought-provoking indeed. I loved the pictures of Max and Cooper at home, and the story of how they found a home with the author. I learned from reading this book about the importance of letting go and not bringing past experiences to your present like an emotional ball and chain. Also, the concept that silly misunderstandings can bring a lifetime of hatred and bitterness. The fact that dogs have a good work-life balance is also true. They do spend time enjoying the outdoors and exercise as a means of fun. They take time to pamper themselves with no guilt. I loved this book and would recommend it to others.